VANCOUVER, BC – R&B Brewing has announced details of the latest in its Mount Pleasant Series of limited edition beers named for the East Vancouver neighbourhood where the brewery is located. Our brewing team created a Chai Milk Stout with complex flavours of chocolate, coffee and a slight roastiness. It is milky sweet (lactose added) and infused with a special blend of Silguri Chai spiced tea from the Granville Island Tea Company. 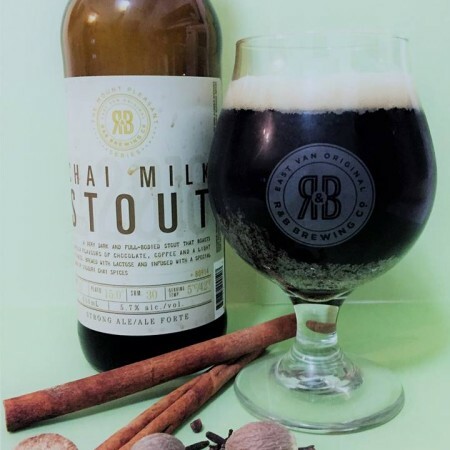 Chai Milk Stout is available in 650 ml bottles and growlers at R&B, in bottles at private liquor stores, and on tap at select local establishments while supplies last.